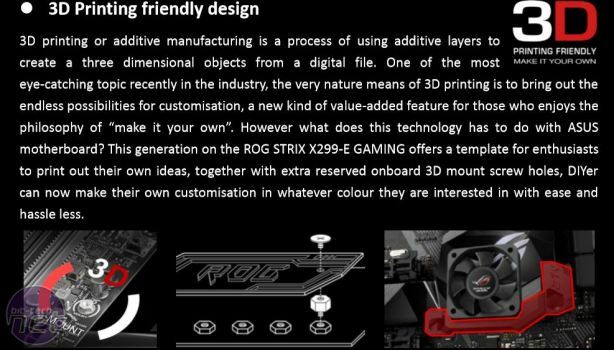 It's actually less than seven months ago that we looked at our last X99 motherboard in the form of the excellent MSI X99A Tomahawk, and while CPUs and motherboards for Intel's previous HEDT platform will no doubt offer some bargains over coming weeks, the new kit is turning out to be pretty good. 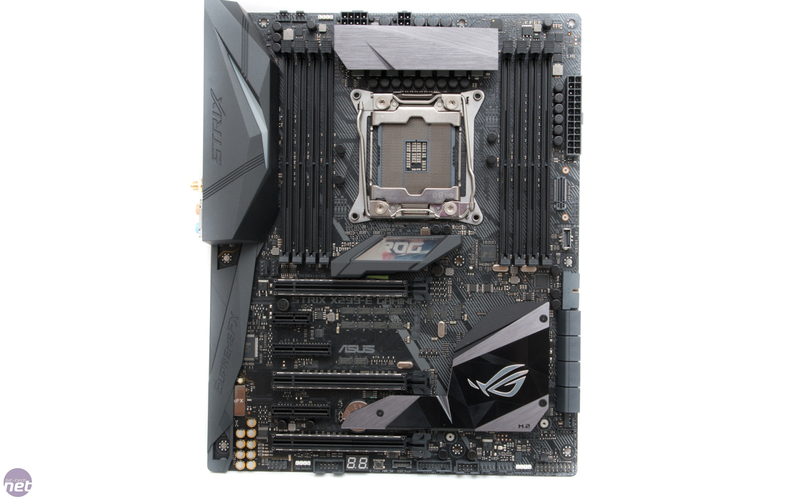 In fact, our review of the Core i9-7900X highlights the fact that, both in terms of price and performance, Skylake-X is a much better buy than its predecessor. 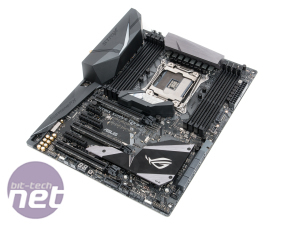 We start, then, with the first X299 board to enter our lab - soon to be followed by more - which is the Asus ROG Strix X299-E Gaming, a board that retails for roughly the same price as its predecessor at around £300/$320. It's a little less flashy than its predecessor, with none of the orange detailing - it's an all-grey/black affair with a large grey heatsink covering the eight-phase power circuitry, while onboard RGB lighting means you can tweak the aesthetic to suit you. 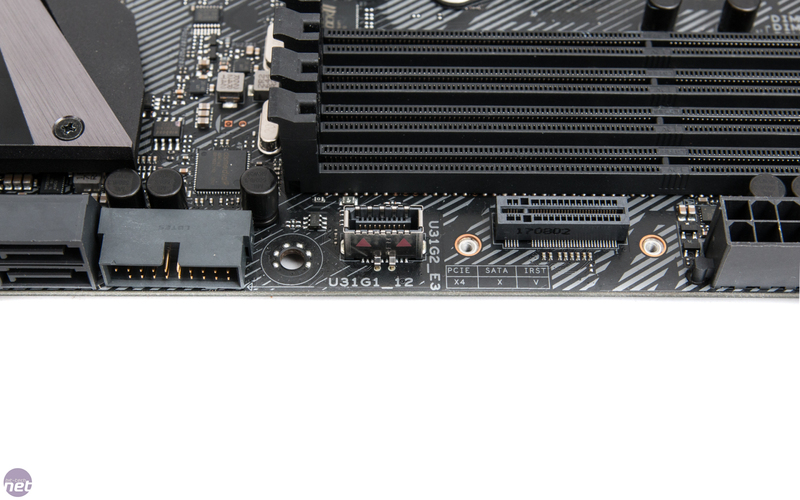 However, even that is a little more restrained than the previous model, as there are no PCI-E slot LEDs. 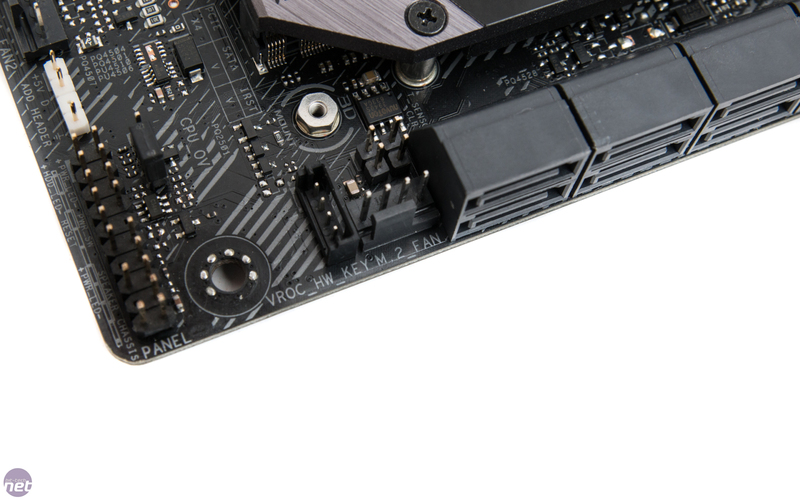 These have been replaced with a hologram-esque logo in the middle of the PCB, while the shard-shaped structure on the I/O shroud sports a bunch of individually controllable RGB LEDs. 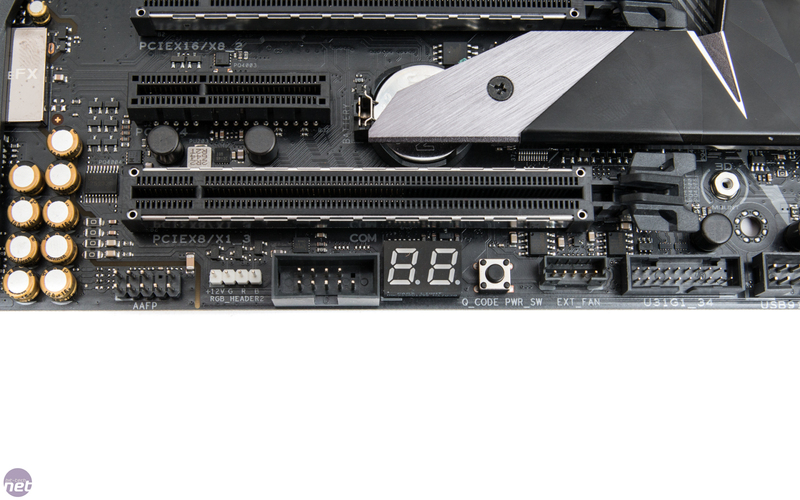 Storage-wise, you get eight SATA 6Gbps ports all right-angled on the edge of the PCB. 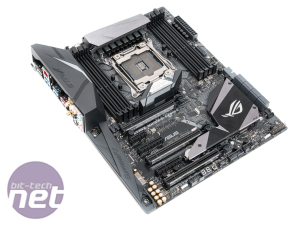 Sadly, there's no angling going on with the ATX connector as we saw with the Asus ROG Maximus IX Extreme, and there's no integrated I/O shield either. 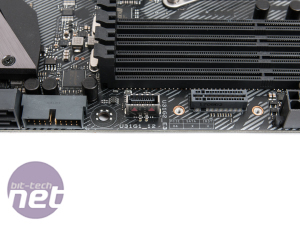 There are, of course, plenty of options for PCI-E storage, with a pair of M.2 ports. 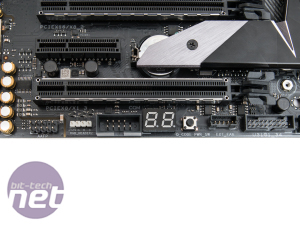 One is sadly vertical next to the DIMM slots, and the other sits under its own heatsink which forms part of the main PCH heatsink - we'll discuss this in a minute. 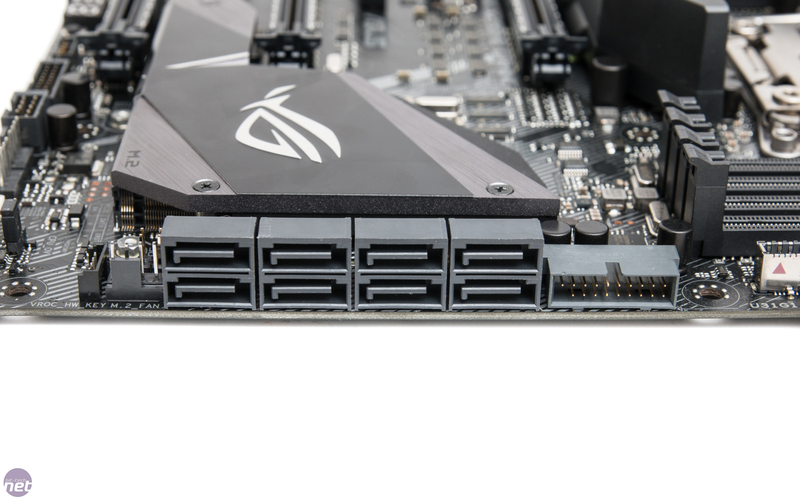 Asus includes a USB 3.1 header on the PCB too for some extra future-proofing, although it has dropped a few features that we'd expect from a £300 motherboard. 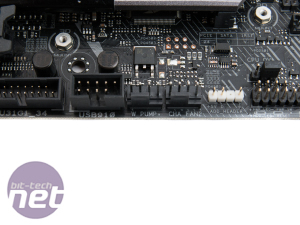 They're only small, but the lack of a CMOS clear button and an onboard reset switch is certainly a pain from a reviewer's point of view. 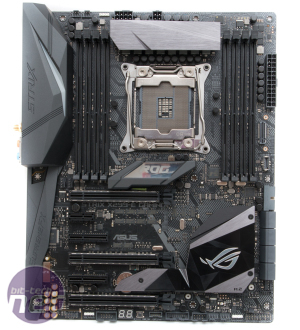 However, Asus has included USB BIOS Flashback, a power button, and an LED POST code display, so you're mostly well covered for out-of case testing and diagnostics. 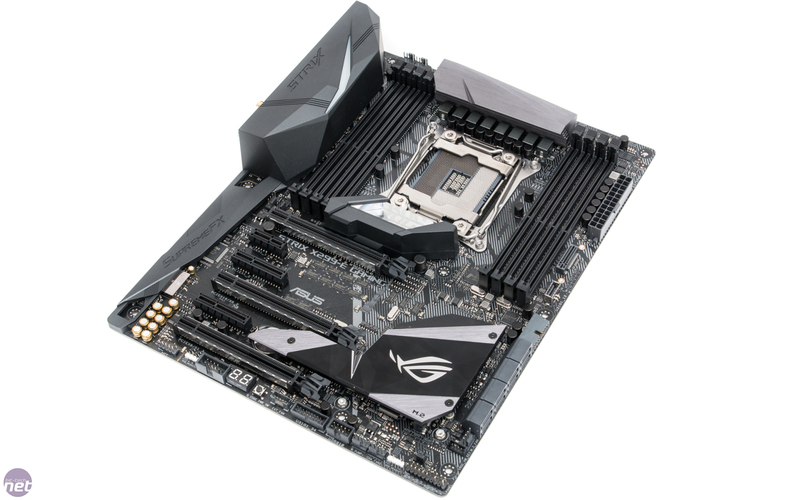 Some new additions to Asus' boards include dedicated headers not just for AIO cooler pumps but also for custom liquid-cooling pumps that are powered by three- or four-pin connectors. 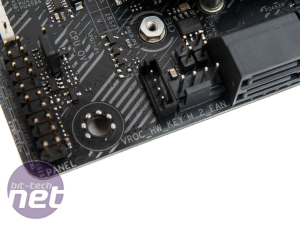 These headers can output up to 3A, which equates to 36W, so this is more than enough for the likes of the Phobya DC12 and EK-DCP. 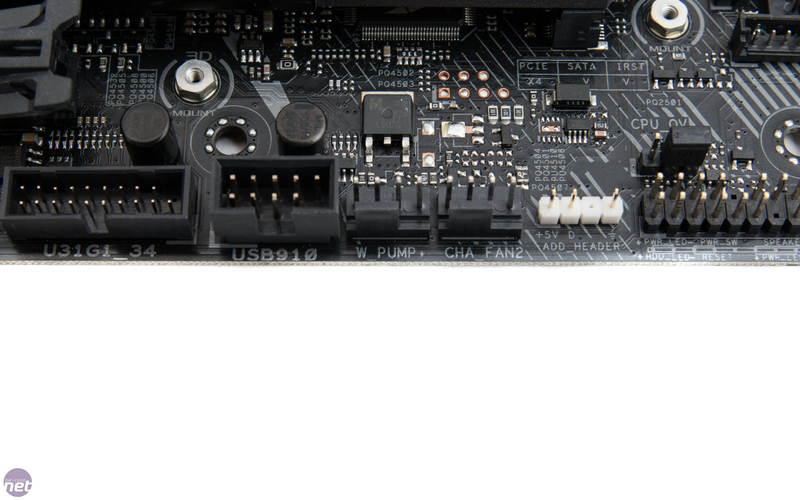 What's more, they're controllable in the EFI and in Asus' software, so you can tune down the pump for lower noise levels. 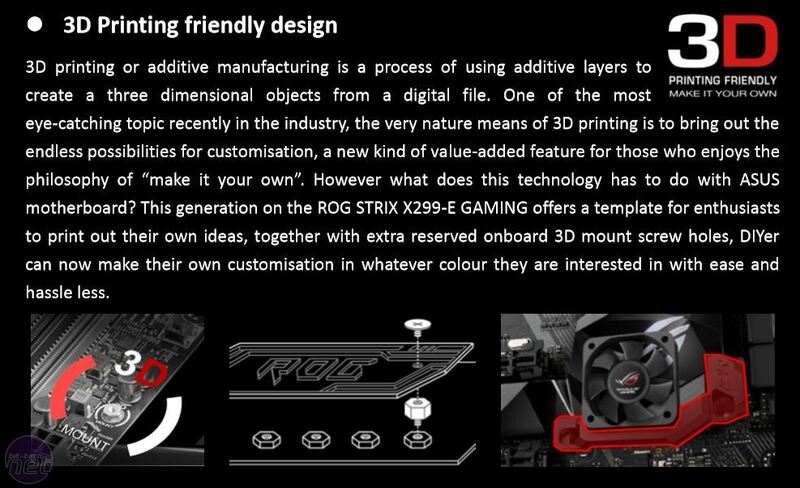 Above you can see there's also a dedicated fan header for any additional cooling you might want to add to the lower M.2 port, and there are 3D-printing mounts and screws in the box too that tap into Asus' growing printing community and objects.